This stunning, top-shelf Napa Chardonnay has a melony freshness and a creamy, rich, everlasting finish. With your funding, David snuck down to Napa's Carneros hills (the land of Napa's finest Chardonnay grapes) and treated the fruit to a nice long rest in lightly toasted French oak barrels. Barrel-aged Napa Chard sells out at the best of times, and because the fruit for this wine comes from small producers, there’s not much of it to go around. This is likely to disappear in a flash, so stock up on this one fast! This is a decadent, powerhouse red – layered with lustrous flavors like wild blackberries, rich red fruits and an intense full-bodied finish that deserves all the applause. Harvested from three distinct vineyards in Paso, Yian wanted to show off the fruit – so she partially aged your wine in stainless steel tanks before letting it mellow in French Oak barrels. "That's what makes it so generous, juicy, even chewy!" Yian says. We knew this wine was a champion before it clinched a DOUBLE GOLD medal at the SF Chronicle Wine Competition this year. But now that word's out, Yian's extravagant red will sell out in a flash – get yours first! Scott selected dry-farmed vineyards for your Pinot - less water means every grape fills with incredibly concentrated flavors. Raspberries, cherries, toasty barrel-aged flavors... they're all inside. Whether you’re pairing with apps or toasting to celebrate, you’ll love this fresh and fruity bubbly - and it’s yours for a song. Paolo comes from a family of winemakers, so Prosecco’s in his blood. Thanks to you, he crafted this dream wine from Valdobbiadene – the region growing the most sought-after sparkling in Italy. This crisp, lively Prosecco is perfect on its own – serve chilled, or with Aperol as a spritz! This is a super-daring Cab – big and bold, with explosively deep, dark flavors - and it's juicy in all the right places. That's Paso for you! Richard's worked with grape growers across Paso Robles for over 20 years, and had his eye on 4 vineyards from the region's most distinctive districts. He just needed Angel funding to buy the fruit! The 12,000+ Angels who have rated this Cab to-date... and they'll snap up every single bottle again before you know it, so act fast! Rich, luscious, and overflowing with ripe, dark fruits...this red is devlishly delectable. Your winemaker is one of the founding fathers of Napa Cabernet (!) 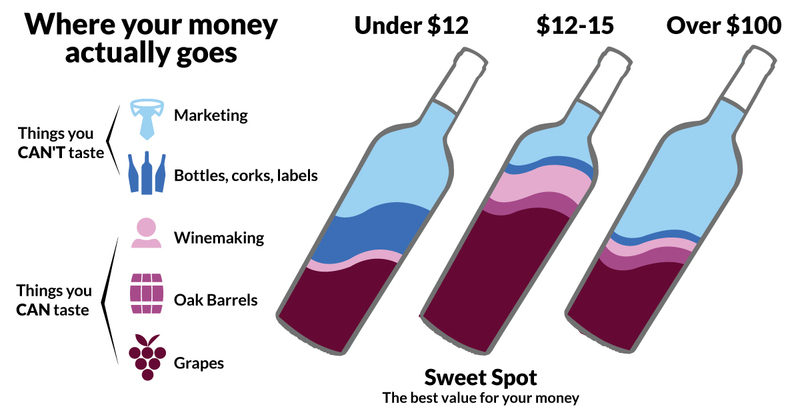 – and your funding allows him to craft luxurious wines that’d cost upwards of $60 anywhere else... but Angels can score this top-shelf wine for less than $28. This wine only gets better with age – if you can wait, that is.... take it out to a nice steak dinner (decant it if you can!) and it’ll be incredible. Sip in award-winning bliss... last year’s vintage picked up a Silver at the 2018 San Francisco Chronicle Wine Competition!